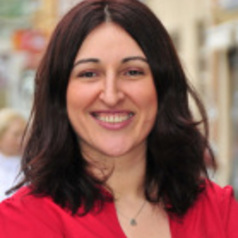 Dr Sanja Milivojevic is a Senior Lecturer in Criminology at La Trobe University. Sanja holds LL.B and LL.M from Belgrade University’s Law School, and PhD from Monash University. Her research interests are trafficking in people and transnational crime, borders and mobility, security technologies, surveillance and crime, sexting, gender and victimisation and international criminal justice and human rights. Sanja has worked as a researcher on various projects with the Institute for Criminological and Sociological Research in Belgrade and Victimology Society of Serbia. She is a recipient of national and international grants including Criminology Research Council’s grant for project on young people and sexting (with Associate Professor Murray Lee, Associate Professor Thomas Crofts, Dr Alyce McGovern and Dr Michael Salter). Sanja was a NSW representative at the Australian and New Zealand Society of Criminology’s Committee of Management and is editorial board member for journals Temida (Serbia) and The Human Rights Defender (Australia). She has been a visiting scholar at Belgrade University’s Faculty for Special Education and University of Zagreb Law School (2013) and a Public Interest Law Fellow at Columbia University’s Law School (2001-2002). Sanja has participated in over 30 international and domestic conferences and has published in English and Serbian. Her latest book ‘Sexting and Young People’ with Prof. Thomas Crofts, Prof. Murray Lee and Dr Alyce McGovern has been published by Palgrave.